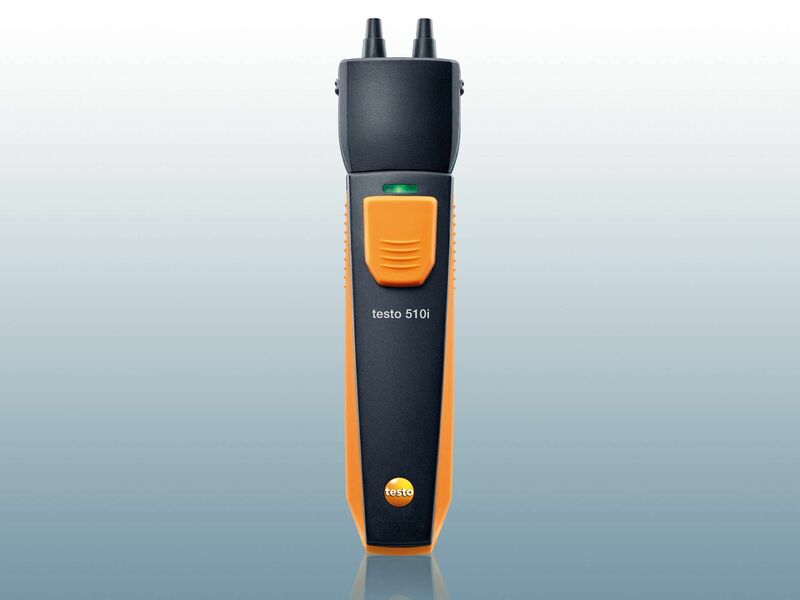 Testo offers high-precision measuring instruments to determine differential pressure. 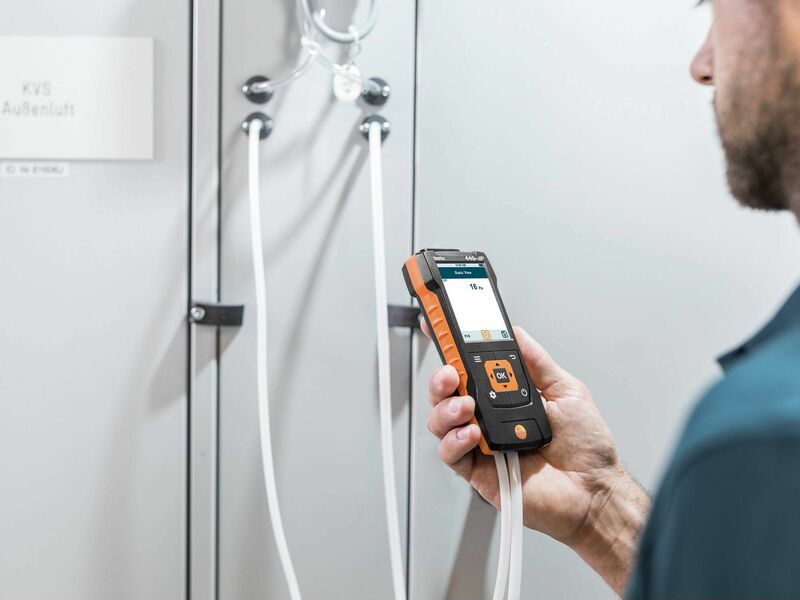 In addition, Testo also meets the highest demands in terms of smart measuring technologies: discover the latest generation of our differential pressure gauges which are operated via smartphone or tablet. Wide range on offer: differential pressure measuring instruments, differential pressure transmitters, probes and multifunction measuring instruments. Perfectly designed: handy and robust with a large illuminated display. So that you can always keep an eye on the measuring values. Versatile and practical: connections for probes to measure further parameters, along with optional accessories, from the practical handy bag to the TopSafe protective case. Ideal for simple, daily routine measurements. Depending on the probe, measure not only differential pressure, but also further measurement parameters. Handy and smart: the measurement is handled and read out via smartphone or tablet. Optional probes with differential pressure sensor – ideal for pressure and flow. Each pressure measurement parameter relates to a reference pressure: with absolute pressure to vacuum, with relative pressure to the environment. When you measure differential pressure, you record the pressure difference between two values defined by you. That is why a differential pressure measuring device always has two connections. Unlike an absolute pressure meter, which only needs one connection. This means a differential pressure measuring instrument can also measure relative pressure. Depending on the reference value, the measurement result can therefore be positive (+) or negative (-), that is indicating either an overpressure or a negative pressure. A measuring instrument can only be as accurate as its sensor. Testo's differential pressure sensors are highly sensitive, temperature-compensated and at the same time small and robust. This also makes them ideally suited for critical applications. Whether it is correct use of the pressure gauge or optional accessories which make the measurement process easier in difficult-to-access or contaminated measurement environments – our practical tips in the field of differential pressure measurement enable you to avoid the most common application errors and to get maximum precision and performance from your measuring instrument! With differential pressure measurement, it is important to connect the right pressure to the right connection. Make sure that you connect the overpressure to the plus connection (+) and the negative pressure to the minus connection (-). This enables your differential pressure gauge to operate over the full measuring range – and you can count on high-precision measuring values. 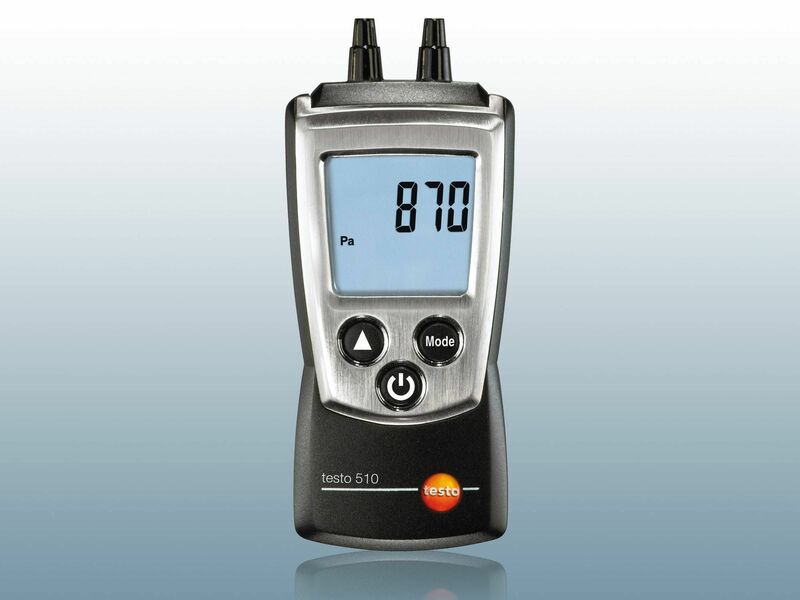 Did you know that you can also measure the relative pressure (that is the difference from the currently prevailing ambient pressure) with your Testo differential pressure measuring instrument? To do so, you simply leave one of the two pressure connections open and set the current ambient conditions as the reference value. Use of a Pitot tube makes sense, especially for measurements in dusty and contaminated air. The air velocity in the flow duct of a system can for instance be determined via the differential pressure between dynamic and static pressure. Air filters in air conditioning systems have to regularly be subjected to a differential pressure measurement. 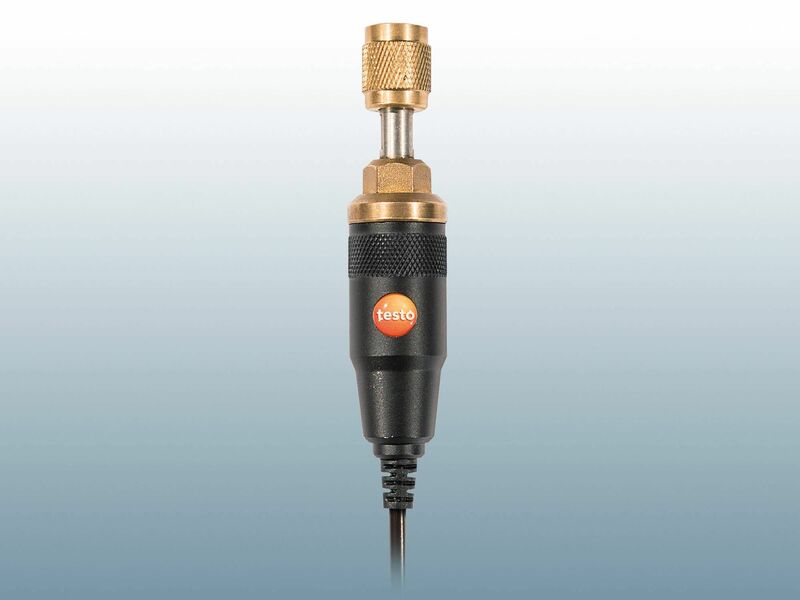 A Testo pressure measuring instrument means you are on the safe side: the differential pressure probe can be connected to the filter's ports in next to no time. If the pressure difference before and after the filter reaches a critical value, there is a warning signal: you then know that a filter change is required so that the ventilation can continue to work properly. If it is a case of ensuring standard-compliant operation in cleanrooms, the requirements in terms of the precision of the differential pressure measuring instrument could not be higher. The pressure difference between rooms of different cleanroom classes is precisely controlled – and has to be strictly adhered to. Because the minimum overpressure of the cleanroom ensures that, when the door is open, no air flow is created from the unclean room into the clean one, which would contaminate the latter. The standardized differential value is between 5 and 20 Pa. A Testo differential pressure gauge means you can be sure that your values are right. 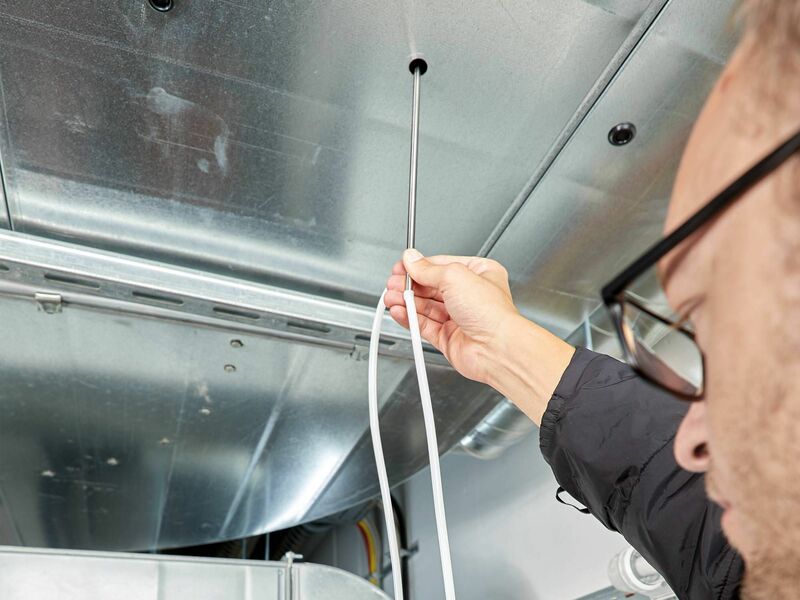 Whether you are servicing a ventilation system, want to commission a heating system or are responsible for compliance with cleanroom regulations and filter systems – you will find your ideal solution for every requirement at Testo. Pressure parameters play an important role in numerous applications in building services, industry and research. 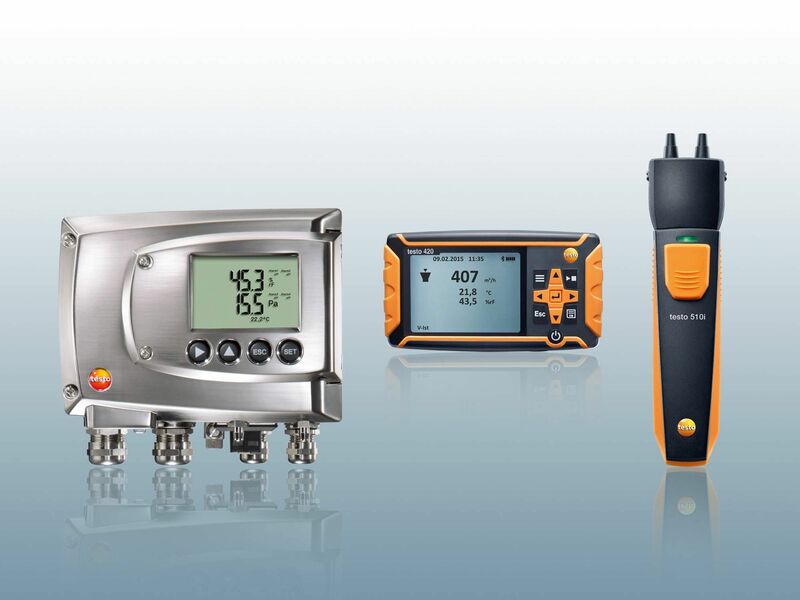 In order to ensure you have the right pressure measuring instrument to hand for every requirement, Testo offers you the appropriate instrument for each pressure. Alongside differential pressure, absolute pressure is one of the commonly measured pressure parameters. Ensure the quality of your maintenance or servicing tasks with an absolute pressure meter from the market leader. This means you can be sure your values are right too. And at the same time take advantage of a first-class price-performance ratio. Are you looking for a leak detector for fast and thorough leakage location? 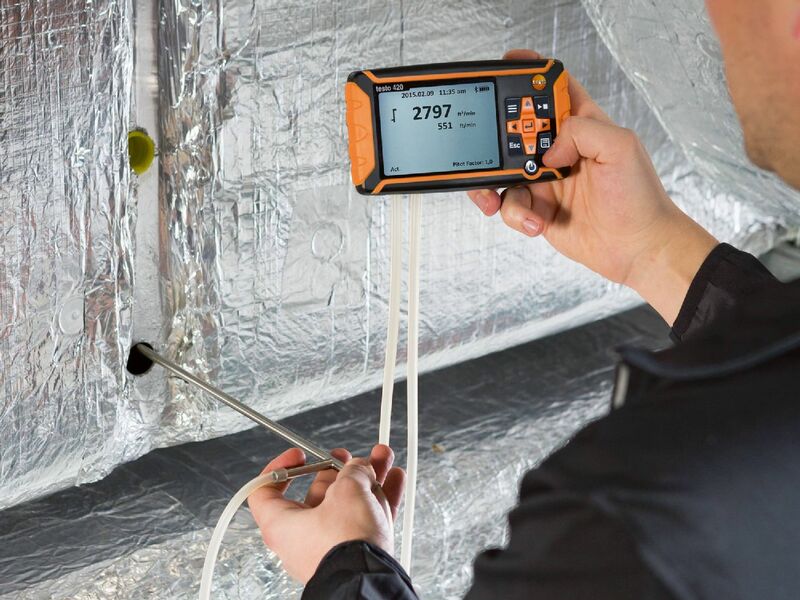 Testo's leak detectors are not only particularly accurate, they also recognize all common refrigerants. This means you are always perfectly equipped if there is the suspicion of a leak. 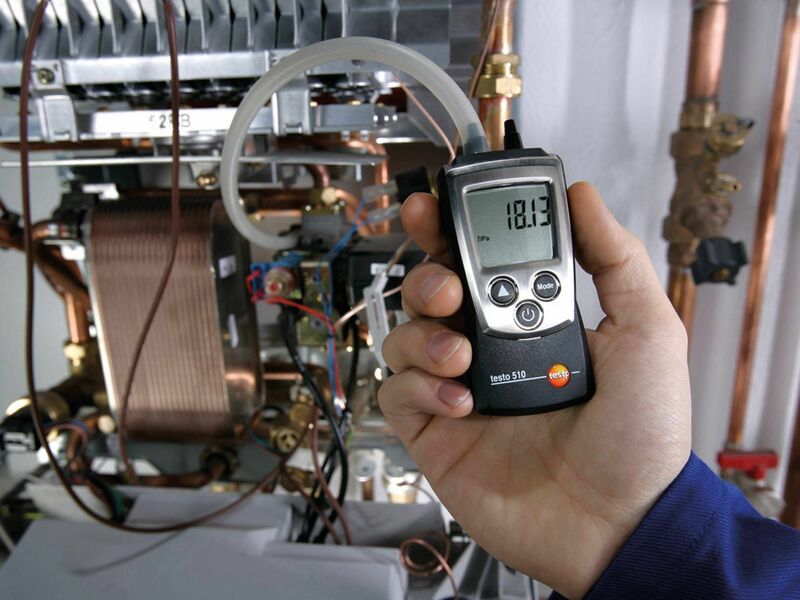 A Testo vacuum gauge enables you to handle all requirements involving the evacuation of refrigeration systems or heating pumps even more confidently. 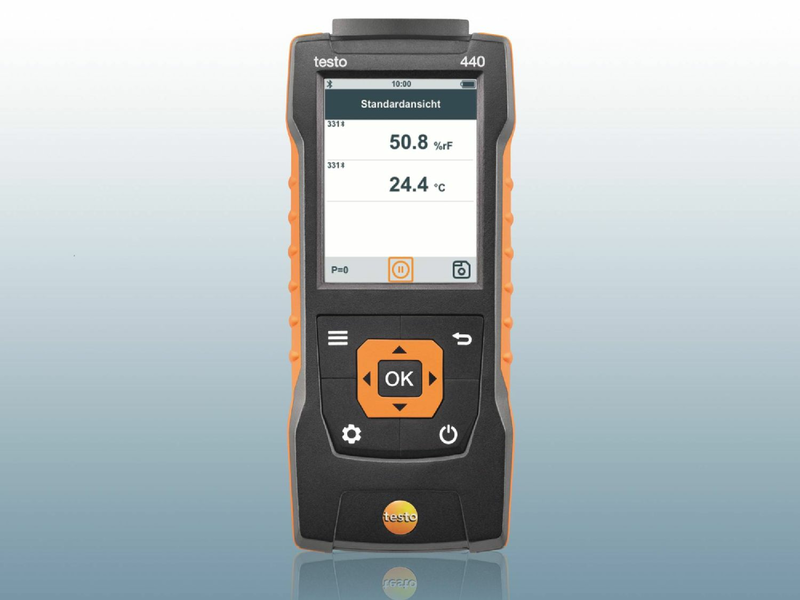 And if you don't just measure differential pressure, but wish to record other parameters too: a Testo digital manifold offers you numerous functions in just one instrument!